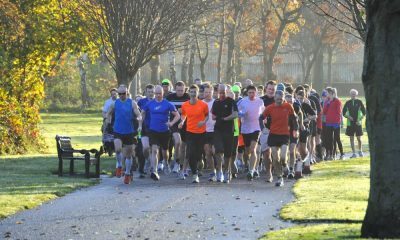 Road runners race in Cobh, Omagh, Lough Boora, Tommy Hughes breaks Irish M55 marathon record, and Phil Healy was among the stars at the Irish Universities Track and Field Championships. 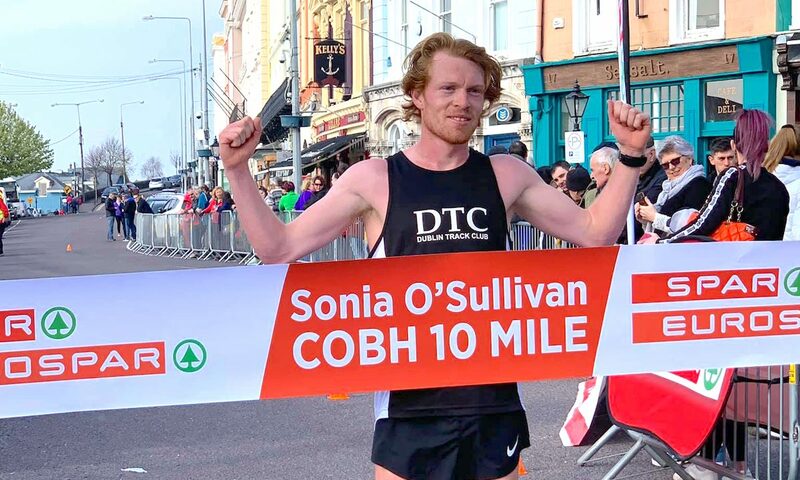 Clonmel’s Sean Tobin was the over six minutes to spare when he led home over 600 finishers at the Sonia O’Sullivan Cobh 10 Mile in Co Cork on Sunday (April 7). Tobin was on his own for much of the race winning in a course record time of 48:34. Finishing second in 55:00 was Colin Merritt of Glenville AC who was also first M45. First woman and seventh overall was Leevale’s Michelle Finn in a course record 57:26. Winners of the Lough Boora Half Marathon in Co Offaly, also on Sunday, were Colin Maher of Ballyfin AC in 70:33 and Neasa de Burca of Galway City Harriers in 86:13. 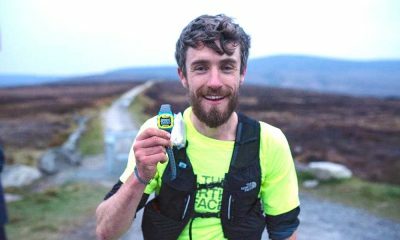 Tommy Hughes of Termoneeny AC knocked over seven minutes off the Irish M55 marathon record when he ran a time of 2:30:10 at the Rotterdam Marathon on Sunday morning. The old record was 2:37:42. Best of the Irish men at the Rotterdam Marathon was Sergiu Ciobanu of Clonliffe Harriers who finished 23rd in 2:19:52. Not far behind was Ciobanu’s training partner David Mansfield fo Clonmel AC who finished 28th in 2:22:06. Raheny’s Cillian O’Leary finished in 2:25.03 and former international race walker Colin Griffin in 2:26.48. Of the Irish women, Breege Connolly of City of Derry Spartans ran 2:37:50 for 13th place – just 50 seconds off the qualifying time for the World Championships. In her debut marathon, Letterkenny’s Ann Marie McGlynn ran a time of 2:39:22, one place behind Caitriona Jennings who finished 16th in 2:38:42. 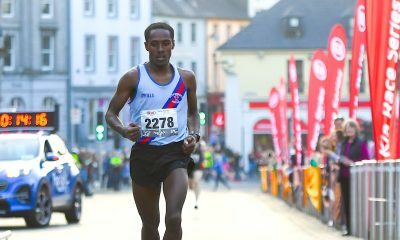 Gary O’Hanlon of Clonliffe Harriers was a solid winner of the Omagh Half Marathon on Saturday (April 6) in a time of 67:41. That put him exactly one minute ahead of Mark McKinstry from North Belfast Harriers, with Eoin Hughes of Acorns AC third in 79:47. 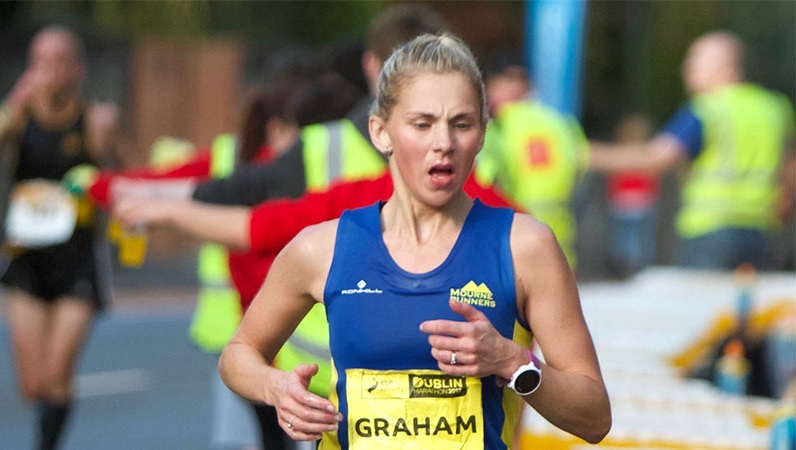 First woman was Laura Graham of Mourne Runners in 76:31. Martina McGee of Tir Chonaill AC was second in 81:13 and Karen Alexander third in 81:30. 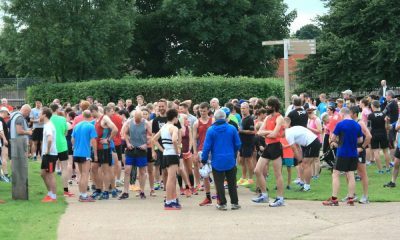 A total of 2,297 completed the race along with a further 76 walkers, and 907 finishers in a 5km where Martin Cox of Carmen Runners in 15:49 and Catherina McKiernan of Annalee AC in 17:53 were the winners. Rory O’Connell and Linda Byrne were the winners of the 10th Rás UCD 5km held on a cold, but bright spring day on the Belfield campus in Dublin on Saturday. O’Connell made his move on the second of two laps passing early leader Daire Finn of Dublin City Harriers to finish in 15:00 on a course which was fractionally shy of 5km. Finn finished second in 15:12, with Karol Cronin of Sportsworld AC third and first M40 in 15:27. Byrne of of Dundrum South Dublin AC was 17th overall in 17:03; on a good day for the family Byrne’s brother Brian was just ahead of her in 10th place, with their parents also running. Bronagh Kearns of St Senan’s a former UCD women’s captain, was second in 17:12 and Niamh Devlin of DSD AC third in 17:59. Neil Johnston was the winner of a well-supported Queen’s 5km in Belfast on Wednesday (April 3). Johnson finished in 14:51, with Declan Reed of City of Derry Spartans second in 14:58 and Nakita Burke of Letterkenny AC first woman in 16:50. Phil Healy, representing Waterford IT was only five-hundredths outside her Irish record when she won the women’s 200m in a championships record time of 23.04 at the second day of the Irish Universities Track and Field Championships in Athlone on Saturday. Coming second was Sharlene Mawdsley of University of Limerick in 24.21 with Aoife Lynch of DCU third in 24.40. Earlier Healy had comfortably won the 100m in 11.51 an IUAA record. In the men’s 200m, Marcus Lawler, representing Carlow IT, showed that he was right back in form when he smashed the championships record with a time of 20.83. Lawler’s time was under the A standard for the World University Games. “Hopefully that will secure my spot on the team I think I’ve done enough today to do that,” he said. Lawler struggled with injury last summer although he did make the Irish team for the European team championships. Finishing second was Craig Newall of University of Ulster in 21.62 with DCU’s Paul McDermott in 21.80. In the 200m, Travane Morrison of IT Tralee was the winner with a time of 10.75. Craig Newall of UU was second in 10.93. DCU students dominated the men’s 5000m, with Cathal Doyle winning in 14:39.25 and Sean O’Leary second in 14:44.34. Damien Landers of NUIG was third in 14:51.22. Andrew Coscoran of DCU won the men’s 1500m in 3:53.90, with his DCU tema mate Gary Cambell proving best in the 10,000m with a time of 30:13.39. Winning the women’s 400m in 54.47 was Cliodhna Manning of Carlow IT. DCU’s Sophie Becker was second in 54.60. Winning the men’s 400m was Cathal Crosbie of UL in 48.76. Taking the women’s discus title with a throw of 48:39 was Niamh Fogarty of Athlone IT. Eoin Sheridan of DCU proved best in the men’s discus with a 53.72m effort. In the men’s hammer, a throw of 60.60 gave Adam King of DCU the title. Continuing her long winning streak in the triple jump was national champion Saragh Buggy of DCU with a leap of 12.40m. Taking the men’s combined events title with 2904 points was David Dagg of UCD. A day earlier, John Kelly of Letterkenny IT won the men’s shot with 17.12, with Michaela Walsh of DCU winning the women’s shot with 13.93m. Walsh also won the hammer with a throw of 59.57m. Winning the women’s 1500m in 4:33.00 was Avril Deegan of DCU. Matthew Behan of DCU won the 110m hurdles in 14.38. Running as a guest, Kate Doherty won the women’s 100m hurdles in 14.10. A DCU quartet led by Cillin Greene set a new championships record of 41.59 when winning the men’s 4 x 100m. Winning a dramatic women’s 4 x 100m after NUIG’s Nicole Walsh pulled up with an injury within sight of the line was University of Ulster. Walsh held on for second ahead of host college Athlone IT. At the final day of the All Ireland Juvenile Indoor Championships in Athlone, Wymin Sivakumar of Leevale was a worthy winner of the U18 boys tripled jump with a fourth-round effort of 13.31m. Pushing him all the way was Adam Turner of Belgooly AC who threw 13.25 in the sixth and final round. In the 4 x 200m relays, Galway City Harriers won the girls’ U18 title in 1:44.56, with Dundrum South Dublin second and St L O’Toole third. Dundrum South Dublin went one better in the boys’s U18 4 x 200m, winning in 1:32.72, with Brothers Pearse AC a close second and Orangegrove ASC third. In the U19 age groups, St L O’Toole AC won the girls’ 4 x 200m title in 1:45.93 with GCH second and DSD third. St LOT also won the U17 title. Metro St Brigid’s AC , with Leinster schools cross country champion Scott Fagan leading them off, won a thrilling boys U17 4 x 200m in 1:35.76; GCH just held off St LOT for second. Dooneen A set a championships best time of 1:42.86 when winning the boys’ U14 race.